Ample evidence exists that good teachers produce good results and poor teachers are a serious handicap to their students. However, very little research exists on how to best predict which applicants for teaching jobs will become effective teachers. Based on field research with a school district, Teacher Success has identified the key competencies needed to be an effective teacher and has developed a process that assesses applicants against those competencies. How accurate is the assessment process? 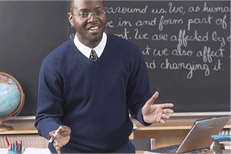 Based on a one year follow-up of the new teachers, the assessment process showed excellent accuracy. 39 new teachers were hired. 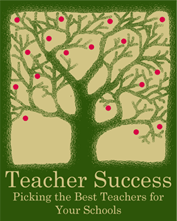 Teacher Success correctly identified 25 of the 27 teachers who were rated as effective at the end of their first year. Teacher Success correctly identified 8 of the 12 teachers who were either terminated, forced to resign, quit their jobs, or had unsatisfactory performance. Using the Teacher Success assessment process means fewer problem teachers and more effective teachers. In turn, this means higher standardized test scores, better NCLB results, and a better education for your students.